The Residence "Il Duomo" is located in a newly restructured building in the historical centre of Lucca, between piazza del Giglio (theatre) and piazza S. Martino (Duomo). The four-story building consists of 11 two-room and three-room flats of various sizes, which are available for short term mainly aimed on touristic and business purpose. 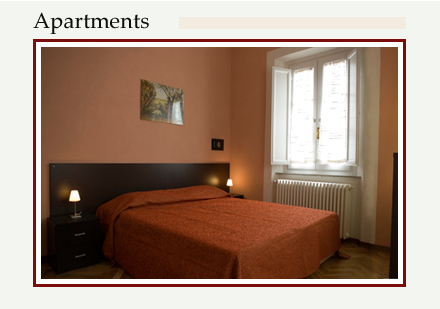 The apartments are very bright, they are furnished with extreme care and are equipped with all comforts. Its location in the very heart of Lucca's historical centre with its splendid view over the city walls and the Duomo (Cathedral) makes it the perfect place for your stay in Lucca.